Good morning ladies, and happy Wednesday! I hope you all had a wonderful Halloween! We had a blast trick or treating in our new hood for the first time. There were so many cute costumes and SO much candy!! I can't wait to share more pictures with you all on Friday! 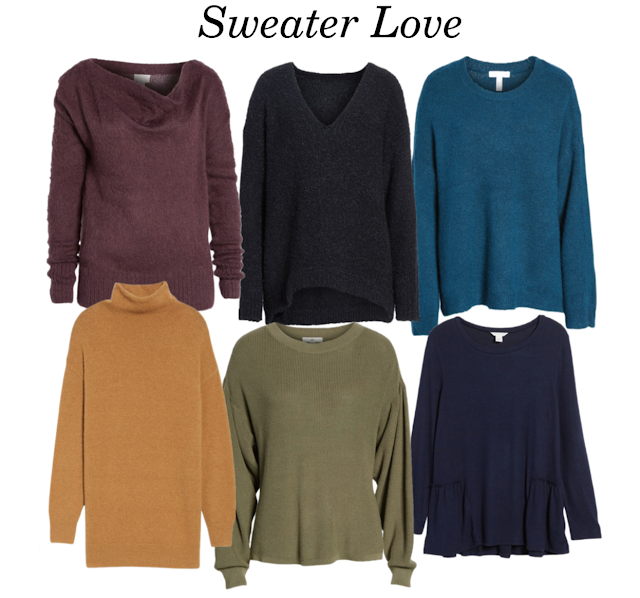 Also, before I get started sharing my sweater wish list, I wanted to mention that Shopbop is having a super awesome surprise sale for the next two days! It's a great time to grab designer jeans, leggings, and cute winter shoes on major sale! I rounded up six of my favorite sweaters for you guys...they are all at great prices, can be mixed and matched, and dressed up or down. 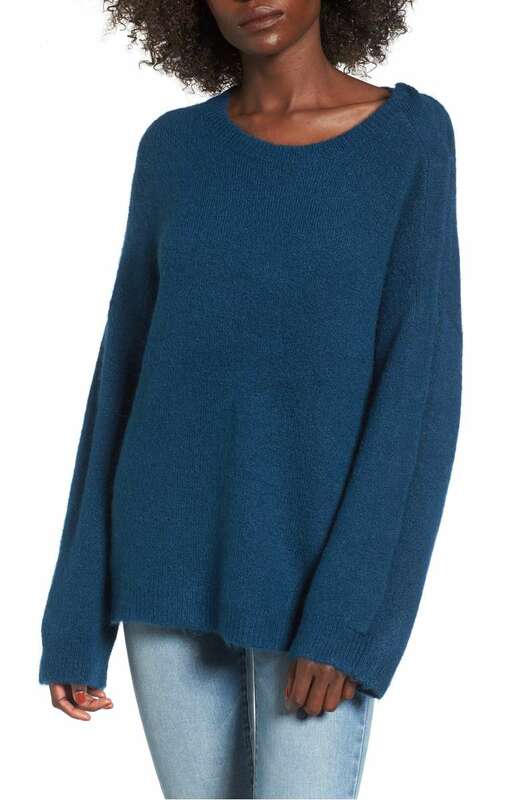 This sweater looks so soft and cozy. I think it would look super cute paired with these jeans and these booties. 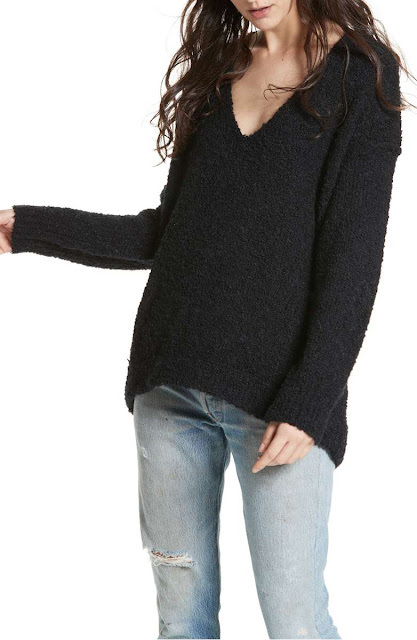 LOVE this sweater!! It comes in seven pretty colors and these leggings would be perfection with all of them! 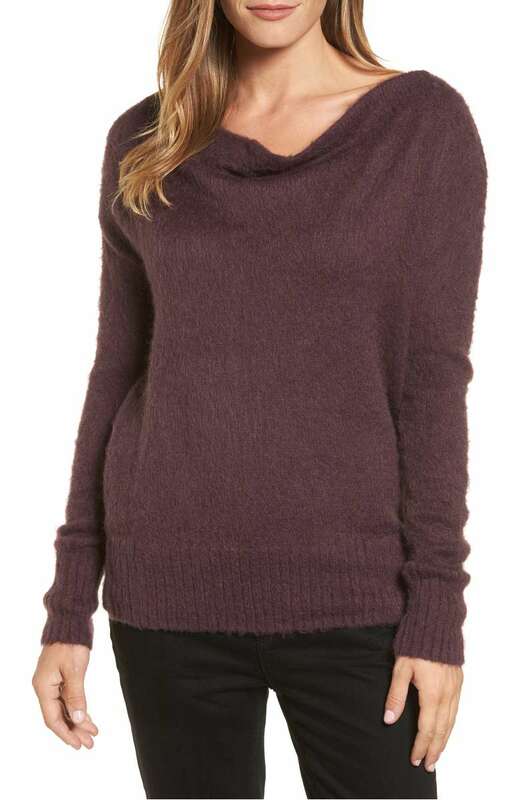 How cute is the little snap on the shoulder of this sweater!? Pair it with these jeans and these booties and you have yourself the perfect fall look. 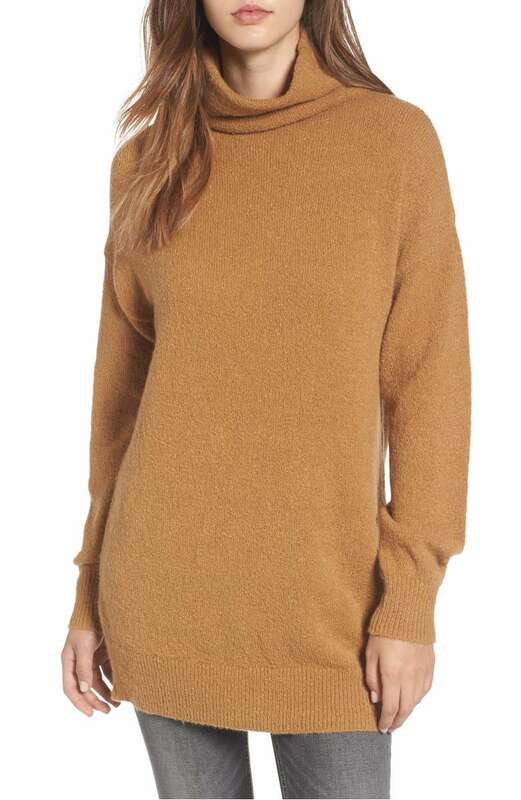 Give me all the long tunic sweaters so my booty is covered and I can live in my stretchy leggings :) But seriously, how awesome would this tunic look paired with these leggings and these knee high boots!?! 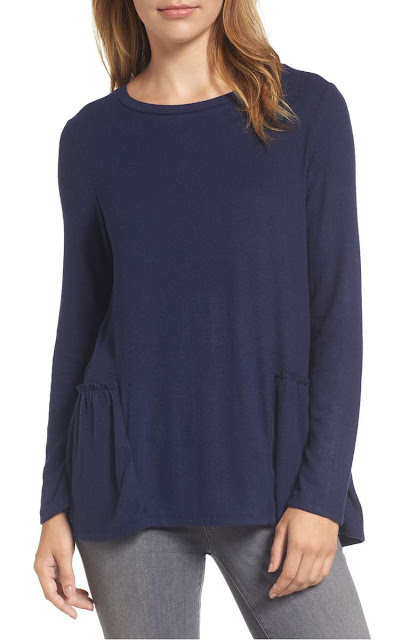 They had me at drape sleeves and $39 with this one. 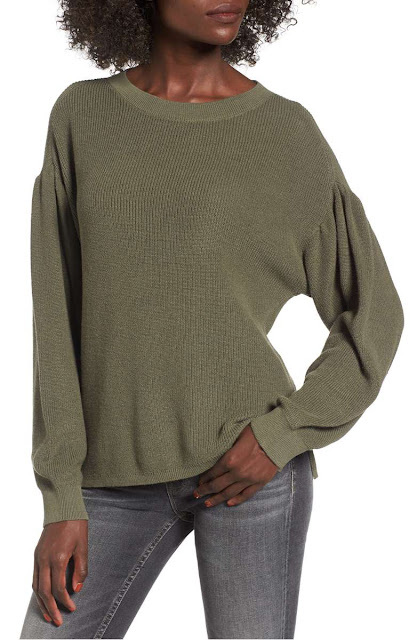 And this olive color would look so good with these garnet colored jeans. This one is definitely more of a lightweight sweater, but it would look adorable layered. For a more casual look, I think it would also look great with these cropped jeans and these sneakers! Yay, sweater weather! I love how comfy they are, I wish they were accepted in every social event, LOL. Thanks for sharing these!